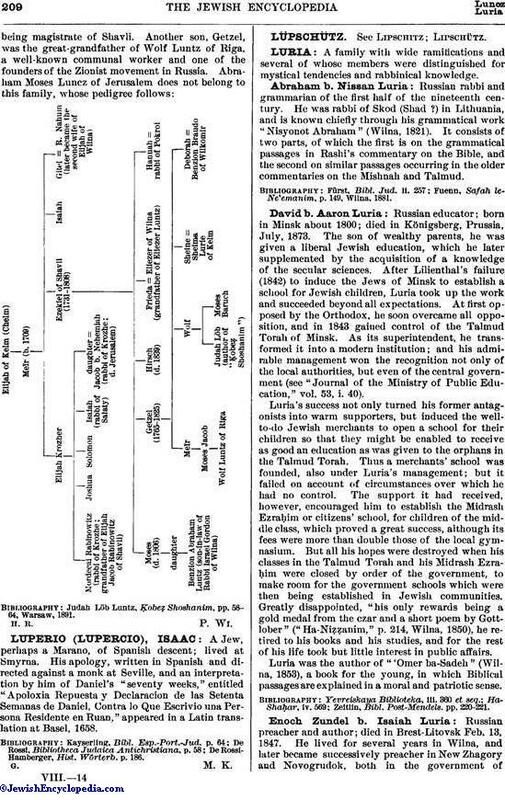 A Jew, perhaps a Marano, of Spanish descent; lived at Smyrna. His apology, written in Spanish and directed against a monk at Seville, and an interpretation by him of Daniel's "seventy weeks," entitled "Apoloxia Repuesta y Declaracion de las Setenta Semanas de Daniel, Contra lo Que Escrivio una Persona Residente en Ruan," appeared in a Latin translation at Basel, 1658. De Rossi-Hamberger, Hist. Wörterb. p. 186.